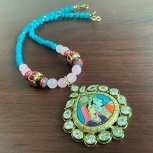 Unique quartz stones with Indian Rajasthani Thewa pendant surrounded by cubic Zirconia Stones. 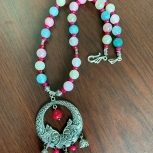 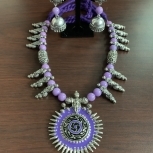 It’s perfect combination with Jadau beads and meenakari beads. 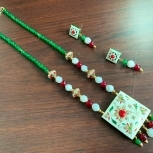 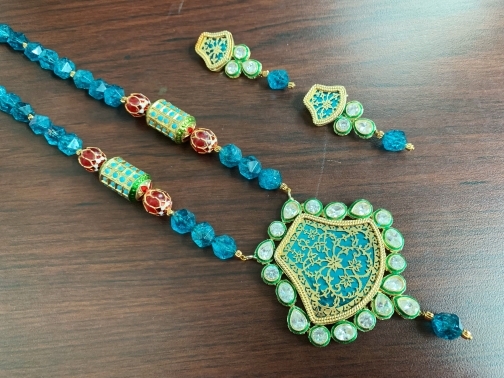 It’s unique in house production from KAVINBHARADHI CRAFTS. 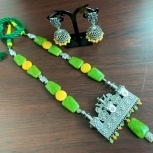 Includes matching earrings.